NewZNew (Chandigarh) : Air India today commenced the first ever flight betweenAhmedabad to Newark via London. The Flight AI 171 took off from Sardar Vallabhbhai Patel International Airport at 05:00 hrs.The flight is receiving immense response from the passengers and not only the inaugural flight but all bookings till September,16 are sold out. The first passenger to check in was handed the boarding pass by Chief Guest, Shri Bhupendrasinh Chudasama, Hon’ble Minister, Revenue, Education (Primary, Secondary and Adult), Higher and Technical Education, Legislative and Parliamentary Affairs, Govt of Gujarat. The B787 flight to Newark will be the first commercial operation of the aircraft to the US from India. It will meet a long standing need and demand of more than 6 lakh Indians in Ahmedabad and expatriates in Newark and neighboring cities as well as of locals visiting the Indian sub-continent, who have been looking for seamless connections for work and leisure travel to Newark and London. The flight will give a boost to tourism as well, as Air India offers convenient connections from Ahmedabad to Mumbai, Delhi and Chennai for onward travel to places of interest and tourism within the country. This flight has generated a lot of enthusiasm in the Indian diaspora in UK and US. AI-171 will operate three days a week on Monday, Wednesdayand Friday from Sardar Vallabhbhai Patel International Airport. It will take off from Ahmedabad at 05:00 hrs and reach London at 10:15 hrs, depart from London at 12:30 hrs and arrive at Newark at 15:00 hrs. The return flight AI172 will leave Newark at 22:30 hrs and reach London at 10:15 hrs next day, leave London at 12:30 hrs and land at Ahmedabad at 02:00 hrs. Speaking on the occasion, Shri Ashwani Lohani, Chairman & Managing Director, Air India said ‘’Air India is happy to start this new flight on 15th August, 2016. It is a dream fulfilled for the people of Ahmedabad on India’s 70th Independence day. This is the third international flight introduced by Air India and we shall be launching flights to more international destinations soon’’. 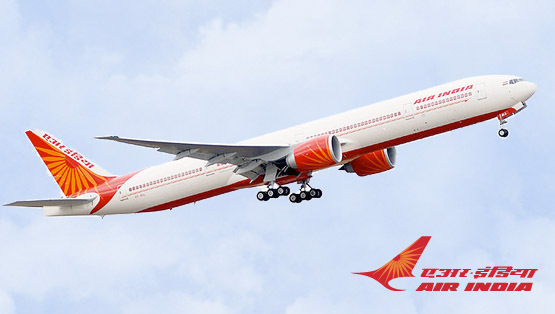 Air India, with its state-of-the-art Dreamliner aircraft, will offer a host of features to passengers such as large overhead bins, cleaner and healthier air for fatigue-free travel, 60% larger windows, exclusive in-flight entertainment experience and specially designed gourmet cuisine to passengers. The other luxury features B787 offers electronically dimmable windows, more seat pitch and recline, 35cm personal LCD screen, one touch technology that converts a seat into 180 degree flat-bed in business class, comfortable mood lighting and in-seat massage function. London, renowned for its imperial palaces, forts, museums and operas, four UNESCO world heritage sites is one of the first international destinations connected by Air India. Air India has daily non-stop flights from Delhi and Mumbai to London. Newark, one of the oldest cities in the United States, located at the mouth of the Passaic River is known for its Cathedral Basilica of the Sacred Heart, Verona Park, Brookdale Park, St. Lucy’s Church and Wars of America. Air India became the first airline from India to join Star Alliance, the world’s most prestigious consortium of 28 leading international carriers. This gives Air India a huge opportunity to offer several benefits to passengers like seamless transfers, more frequent flyer mileage points, and access to facilities at over 1000 lounges worldwide. Passengers will further benefit from a wider choice on routes connecting North America, Europe, Asia and Australia via the Indian subcontinent.